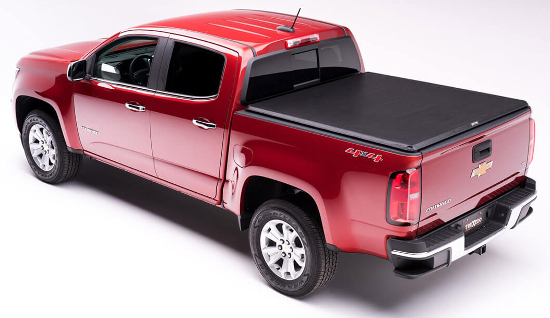 TruXport is an attractive roll-up truck bed cover that includes top quality features and benefits with a price that wont break the bank. Its easy to install, and operation is simple. 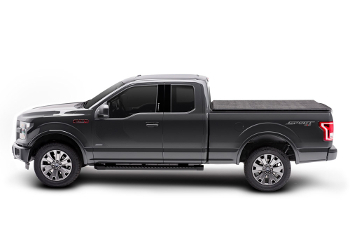 The TruXport mounts on top of the truck bed rails providing distinctive good looks that will truly complement your truck. 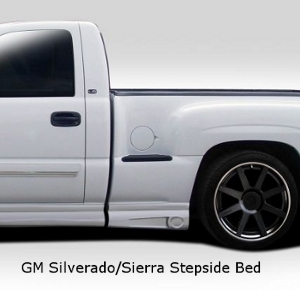 Once installed, the pre-set tension control will help maintain the TruXports great looks all year round. 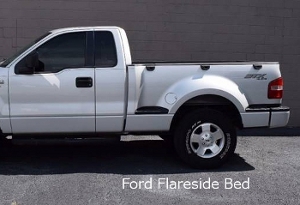 The TruXport is made in the USA and is backed with a 5 Year warranty. 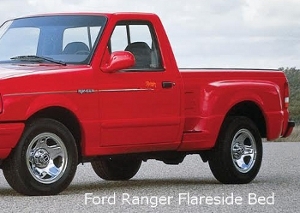 Great Looks. 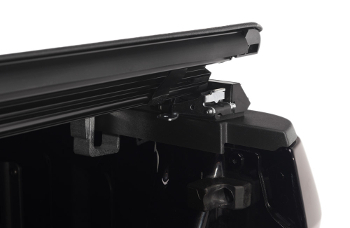 Straight bows roll up with the cover and provide a smooth,flat look when closed. Fast Installation. Easy, no-drill clamps allow for a simple installation in less than 20 minutes. Pre-Set Tension Control. 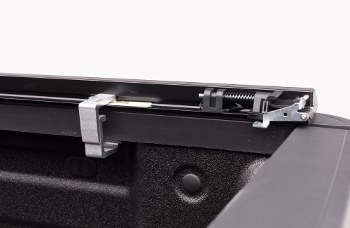 Tension control is conveniently integrated within the latching system to keep the cover tight in any climate. Works Great In All Climates. 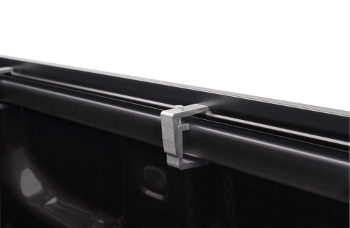 Industrial strength hook and loop system provides continuous contact between the rails and cover. Easy to fasten even in freezing temperatures. Quick One-Person Operation. No loose parts - Cover completely rolls up and self stores in seconds. 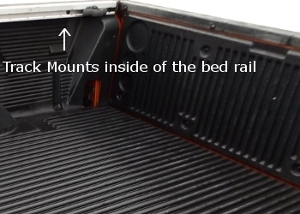 TruXport sits 1.5" above the truck bed providing distinctive good looks. 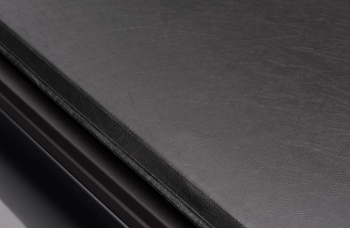 Straight cross tubes provide a smooth, flat look when the cover is closed. The TruXport can be installed easily with no drilling or special tools required. 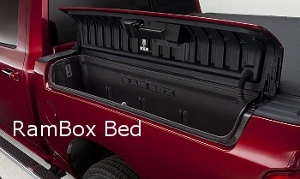 Dual paddle latches are easily accessed at both sides of the truck, securely fastening the cover to the bed. Pre-set tension controls are conveniently integrated into the dual latching system to keep the cover tight and looking its best all year round. 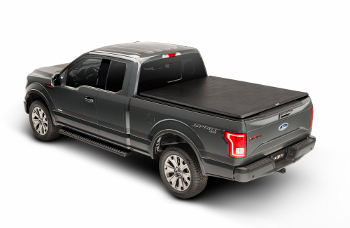 Fabric is built to help protect your cargo from the harshest of elements. Stepside Only [?] 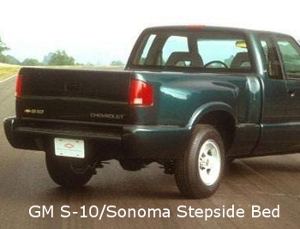 What does Stepside mean?